It gives us great pleasure to welcome you to the Diamonds For Less Blog. What another subject could we have written about in our first blog post but Diamond Buying Dos & Don’ts. Being the diamond experts that we are, with over a 100 years of combined experience between all of us here we’re passionate about diamonds and want to pass some of our knowledge onto you through blogging. We hope you find it interesting and informative. Many of you may already have exhausted the Internet to find tips and information about diamond buying and diamonds in general. The world wide web is a resource that most of us turn to for anything, from a simple address search to buying our homes, it is a great source of information and, most of the time, an accurate one, but have we come to trust our computers sometimes more than ourselves? Is everything stated online or otherwise true and written with good intentions? This is what we should always keep in mind and use our discretion when doing our research on anything. 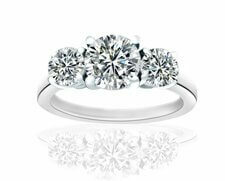 As complicated as it seems at first it has become a lot easier to buy a diamond today. Gone are the days where a jeweller would give you a vague description of a diamond and had to be trusted 100% to make such an important purchase. Consumers have the tools and knowledge available to them to make the right decision and to avoid getting scammed or overcharged. We believe in fortifying your knowledge with some information from the source. Diamonds for Less deals directly with the diamond sources around the world and have seen more diamonds than we can ever count. 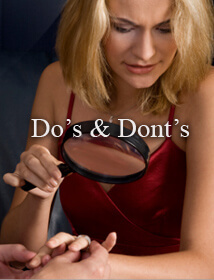 Here are some of the Dos & Don’ts Of diamond buying. 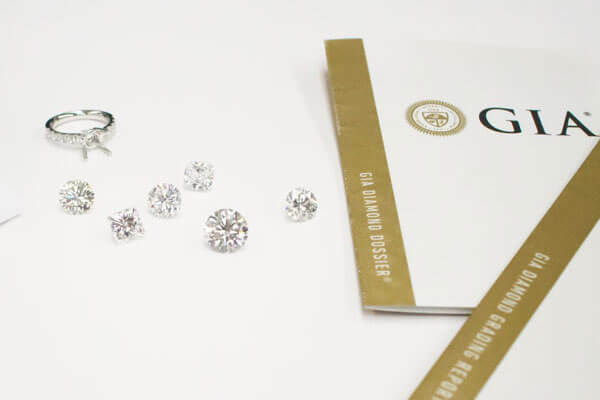 Educate yourself on the 4 C’s, learn what each one means and how it impacts the diamond appearance (Cut, Clarity, Color, Carat). Shop around before making a decision. Make sure you see several diamonds. 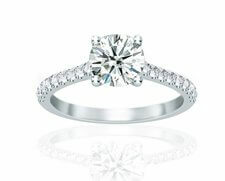 Write down the specifications of the rings you have seen, you won’t remember every detail. 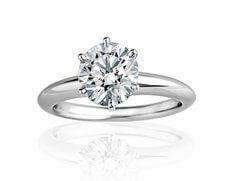 Find out the total cost including your diamond and setting, sometimes one or the other is priced too low to lure you in and then overcharge the other. Compare apples to apples, slight quality or size difference in diamonds can have a huge impact on price. Only consider pre-certified diamonds by independent reputable Gemological Labs (Do your homework on Labs before trusting their grading). Has the diamond checked in front of you by an independent gemologist you trust before purchasing? Have the diamond set in front of you before purchasing? Has the appraisal done in front of you before purchasing? 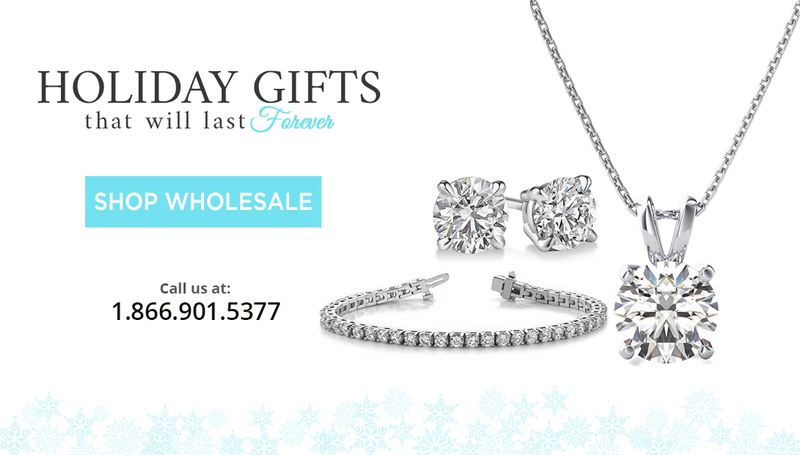 Check out the credentials and the reviews of the jewellers you are thinking of working with. Don’t feel pressured to spend more than you have. Set a budget and try to stay within it. Get what you want by shopping around and finding a deal rather than spending more needlessly. Never buy the first ring you see, don’t fall for the pitch “You are going to miss out on a great deal” if it is there today it can be there tomorrow. Appraisal values don’t mean everything, they are just used for insurance purposes. It is not an indication of its real market value. As important as certificates are, don’t depend on them solely to judge a diamond, no 2 stones look alike, always see the stone live before purchasing. Never buy a diamond that is certified by the jeweller or seller himself, he is not unbiased. His/her profit is based on that grading. Make sure the certification comes from an independent source like GIA, HRD, Gemscan etc. Try to avoid buying a diamond already set in a piece of jewellery. You never know what can be hidden under the metal (inclusions, chips) and you will never have an accurate grading or weight of the stone. Don’t fall for branded diamonds, there is no such thing. Diamonds are a natural mineral. When comparing apples to apples a branded diamond is no better than a no name. The marketing just adds to the cost. Never believe or commit to a jeweller that shows you a diamond without a certificate and tells you that it will be done before purchasing (he is beating around the bush). All diamonds of at least 0.50ct and above come certified. Always see the cert first(see Dos #6). You shouldn’t be pressured into purchasing a diamond by a sleek pushy salesperson. The decision should be made on your terms and when you are comfortable to do so. 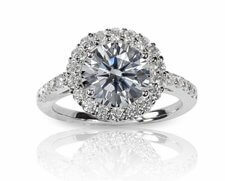 Join our blog to learn more about diamonds and the diamond industry. In our upcoming posts, we will explain in more detail about the Do’s & Dont’s, why you should buy certified diamonds, the difference between certificates and appraisal some interesting clients we’ve had visit us etc.